Quebec. 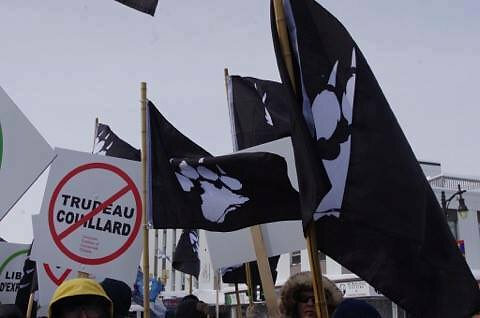 It was established by "Eric Venne (along with with Patrick Beaudry), veterans of the war in Afghanistan who goes by Corvus"
Television news coverage of a recent confrontation between the Anti-Fascists and La Meute in Québec City showed some of the latter group carrying black banners bearing a stylized white hounds paw-print along with Canadian flags. It measures 36" long and 24" high, according to website. 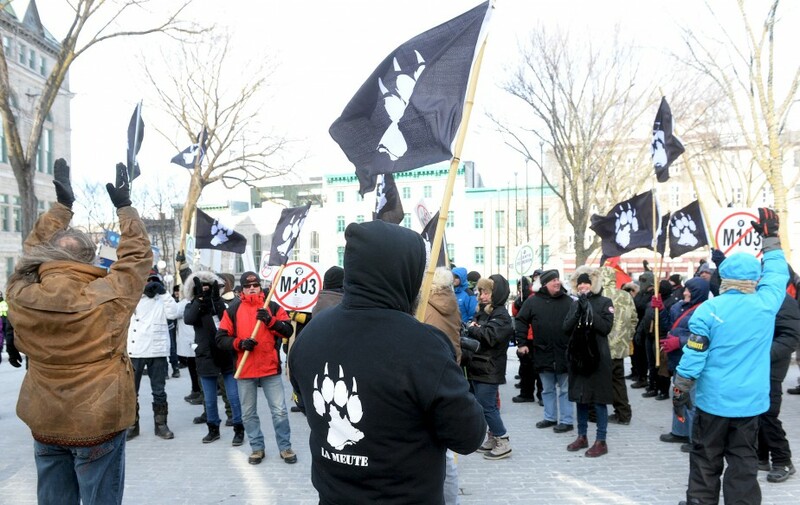 The central part of the paw-print is shaped like a map of Québec. The flag also has a variant with blue field, same shade as in the provincial flag. The variant with black logo on white field is also offered for sale, but seems not to have been widely used so far.